ROM emulation is a powerful and versatile method of microprocessor testing. ROM emulation has emerged as the technique of choice for microprocessor test and diagnostic applications. A microprocessor-based board is tested by replacing the boot ROMs on the Unit Under Test (UUT) with memory emulation pods. Each pod handles eight bits of the data bus. Processors from 8 to 32 bits can be controlled with one to four pods (even the most advanced CPUs such as the Intel Pentium generally use only an eight-bit boot path). The emulator takes control of the UUT by resetting the processor and, under the test program’s control (monitor program), exercises all functions on the board. Synchronization with the UUT is automatic and requires no additional hardware or connections. ROM emulation uses a high level language that enables the user to focus on development of the test procedure (rather than on learning new opcodes of the tested CPU) allowing rapid transition from one test program development to another with minimum learning time. The controlling link is transparent to the user. No assembly language is required to support the basic functions of the ROM emulation card which include Read, Write, RAM test, ROM CHECKSUM, Fill, Copy, and Move functions. Additionally, basic diagnostics are included to aid in troubleshooting a dead kernel. The logic probe is available to probe UUT nodes beyond the kernel. A powerful node test system allows known good responses from a reference UUT to be stored in a library for immediate comparison against the board under test. Selecting a node test automatically invokes the correct stimulus, captures the results and compares them against the reference library. A PASS or FAIL message can be displayed or further instructions to the operator can be issued, pending the result of each node test. A Windows GUI is included with built-in functions such as Memory Read/Write, I/O Read/Write, Memory Test, etc. Higher-level functions can also be executed with a single command. A built-in macro language supports easy development of the complex test procedures without the need to learn a programming language. 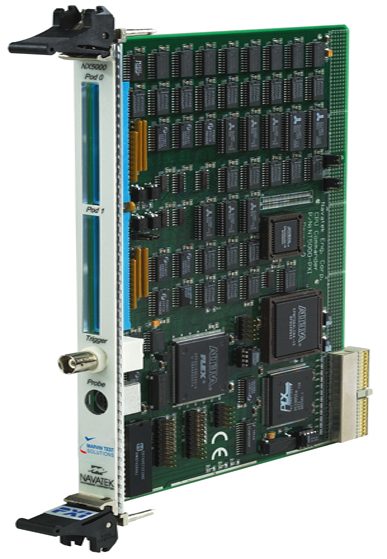 The board is supplied with a 32-bit DLL driver. Various interface files provide access to the DLL from programming tools and languages such as ATEasy, LabVIEW, C/C++, Microsoft Visual Basic®, Delphi, and more. The available virtual panel can be used to interactively monitor and control the instrument from a window that displays the instrument's current settings and measurements. An On-Line help file and PDF User's Guide provides documentation that includes instructions for installing, using and programming the board.